Today, almost everyone is walking around with a digital camera on a smart phone. These cameras utilize either CCD (Charge-Coupled Device) or CMOS (Complementary Metal-Oxide-Semiconductor) chip technology to capture images. While they may have different resolutions and features, the bottom line is that they all function in a similar matter. Digital cameras allow people to quickly snap pictures or take video wherever they are, and since most of them are in cell phones, these pictures and videos can very easily be shared with other people. The CCD and the CMOS chips have led to a major shift in our culture by making photography so easy and widespread. Widespread access to cameras means never missing a moment, and because they're built into cell phones, it means for most people, there's no longer a need to buy larger, more expensive stand-alone cameras. Likewise, advances in CCD and CMOS chips have miniaturized the box camera in to a two-piece PCB design that allows the security camera to have various compact designs. These two types of chips have a variety of other uses as well, including in wireless video transmitters and astronomy tools. History of the Digital Camera – From 1951 to Today. Five Ways the Digital Camera Changed Us – From the BBC News. Catching the Light – How digital cameras create images. 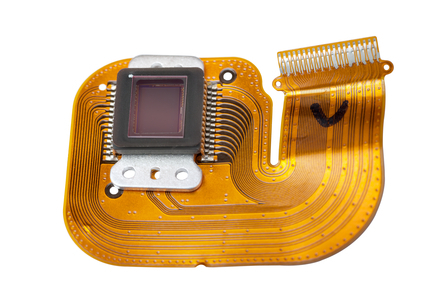 When digital cameras were first invented, they used CCD image sensors. These sensors transformed images from analog light signals into a series of digital pixels without any sort of distortion. The manufacturing process for CCD sensors was fine-tuned to the point that the images were incredibly detailed; however, the manufacturing process, even at its best, was still very expensive. CMOS chips, on the other hand, make use of transistors to create digital images. A charge is moved through each pixel, treating it like it is the full image. This makes CMOS somewhat more flexible in its use. It's also much cheaper to produce CMOS chips because they're created using the same manufacturing processes that are used to create processors, RAM, and other computer parts. CMOS chips are the biggest reason why digital cameras and security cameras have become so inexpensive. There are several differences between the two in addition to cost and the manufacturing process. There is a difference in quality—CCD sensors create images with much lower noise, which means they are of higher quality. They're more light sensitive, too, and can capture good images even in low light. CMOS sensors need much more light in order to produce clear images with a low amount of noise. For example, this most apparent among license plate cameras which still employ CCD sensors for long-range viewing and fast speed capturing as license plate capture is done at higher shutter rates which make the footage dark. CMOS sensors that are commonly found in IP cameras need further improvement to match CCD sensor performance, and their use is limited to applications where cars are moving slow and require ample light. However, that doesn't mean CMOS sensors are completely inferior. With changes in the manufacturing process, the quality of sensors and the images they produce is improving. Just recently IP security cameras offering 8K and 4K UltraHD resolution were announced taking advantage of the new manufacturing techniques for CMOS sensors. Most technology experts expect that the quality of CMOS sensors will eventually out-pace that of CCD technology, making it obsolete. Power consumption is also better in CMOS image sensors which is great news for mobile devices. As devices get stronger processors and cameras, battery life is of utmost importance to make sure realistic use throughout the day is possible. The battery life of a CMOS camera is already much longer than that of a CCD camera and that is more reason they are widely used in smartphones and wireless security cameras. Charge-Coupled Device – The Wiki for CCDs. Complementary Metal-Oxide-Semiconductor – The CMOS Wiki Entry. 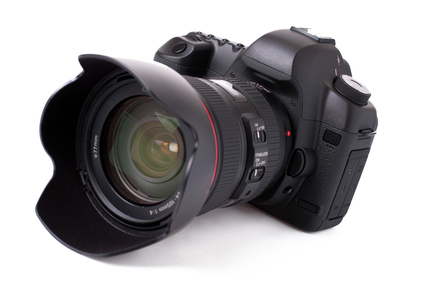 CCD Vs. CMOS – Which is better? An Analysis of CCD and CMOS – A look at Popular Digital Sensor Technology. CMOS Is Winning – Why CMOS May Be Winning the Camera Battle. While CCD and CMOS chips are used in digital cameras and in cell phones, they do have other applications. Cell phones are by far the biggest focus of CMOS manufacturers. A huge amount of money, research, and development has gone into creating the highest quality yet smallest CMOS imager so that the chips take up very little space. The latest result of this research can be seen in Google Glass, a relatively new device created by Google that includes a small high quality camera that sits on the side of a pair of glasses. This camera is so light weight that most people don't feel it at all. In addition to digital cameras, CCD and CMOS chips can also be found in video cameras. CMOS chips are especially popular because of how cheap they are and for the fact that the images taken by some security camera systems don't necessarily have to be incredibly detailed. In the past, video surveillance footage was often in black and white, for example, and the resolution wasn't always incredibly high because businesses wanted to store as much as a year's worth of recordings at a time. The security industry has embraced CMOS sensors primarily because of their low cost and ability to easily integrate these imagers in surveillance cameras. Take for example the latest type of HD security cameras called HDCVI cameras that take advantage of low cost 1/2.8" CMOS sensors to produce real time 30fps 1080P or 2K video at a fraction of the cost of CCD based cameras. CMOS image chips can also be used in a number of other places, such as being used in mixed signal products (products that make use of both digital and analog signals) and in transmission gates. CMOS is also used in radio-frequency integrated circuits which are found in various wireless devices and in devices that use microwave frequencies. CCD sensors, however, do have their uses. Because they are so sensitive to light, CCD image sensors are used by astronomers in many different satellites and other space cameras. One of the most famous, the Hubble Space Telescope, uses a CCD array to capture the many different gorgeous images it has taken over the years. CCD chips are also found in spectrometers and a number of analytical instruments used in astronomy. 3 Uses for a CMOS Inverter – Ways of using CMOS chips. A Study of CMOS Technologies – Advantages of using CMOS sensors. CMOS Technology for RF Application – One specific use. 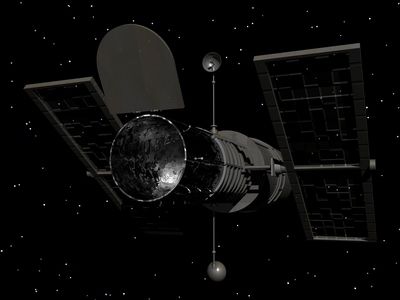 The CCD Chip – Information about the Hubble Space Telescope. A Guide to Astrophotography – Using DSLR cameras for photographing space. While CCD cameras are still readily available and in use by a number of professional photographers, there's no doubt that CMOS cameras are by far the more popular of the two. The low cost of CMOS image chips and the fact that they can be manufactured without any special equipment makes them ideal for use in cell phones and digital cameras aimed at the general public. 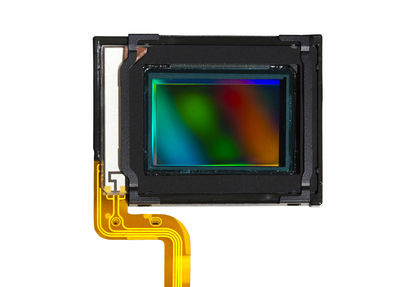 Because the image quality of CMOS sensor camera systems is becoming better and better, it's probably only a short time before CMOS completely replaces CCD sensors. However, because of their sensitivity to light, CCD image sensors may continue to be used in some areas, including Astrophotography. Because both CCD and CMOS have some different applications, it's hard to make a definite decision on which is better. It depends on what the device is being used for. While CMOS chips are cheaper and will probably become the norm for most every day devices with cameras, they may never replace CCD chips in some specific areas due to the unique way CCD chips function. CMOS chips could never be used in some devices simply because they function in a completely different way.